Event Description: So-called “law enforcement” couldn’t even be bothered with the LAW…..stopped across the pedestrian walkway, which is illegal. NEVER used a blinker or signal of any kind, changing lanes back and forth!!! 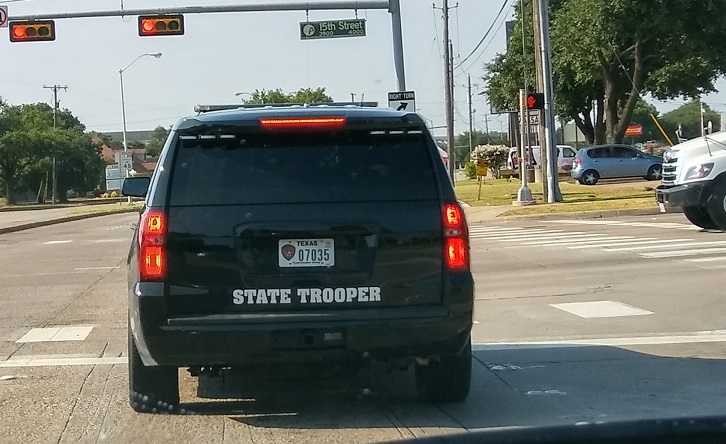 COMPLETELY ignored the speeders, the ones jerking and swerving in and out of lanes, and the ones driving in TWO lanes right in front of them!!!!! YOU TAX DOLLARS, HARD AT WASTE! !